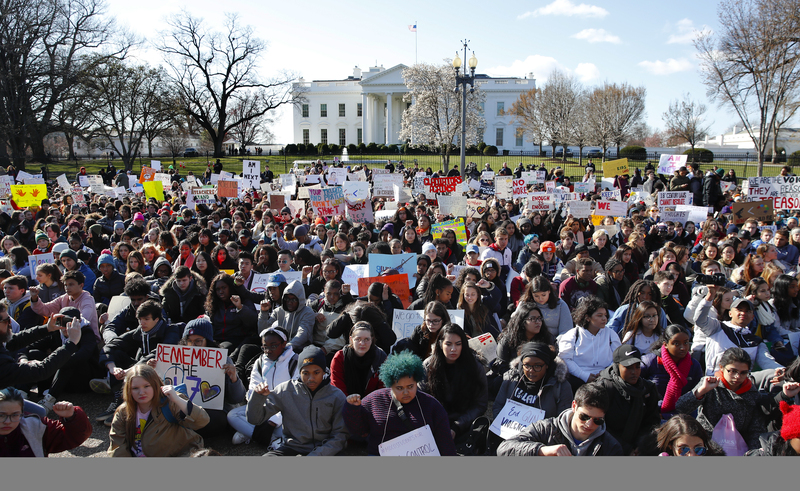 Ben Stiller, Amy Schumer and Liam Gallagher were among those to praise the walkouts across the country on Wednesday in the growing movement that emerged in the wake of the Marjory Stoneman Douglas High School massacre. Broadcasters also went black in solidarity, with media firm Viacom pausing shows on networks including MTV, Comedy Central and Nickelodeon. Students left classes coast to coast from 10am local-time for 17 minutes, one for each student killed in the Parkland, Florida, shooting on February 14. Actresses Schumer and Hilary Swank separately said “we are so proud” of the movement. Alyssa Milano pledged her support to two students who walked out alone for the protest, one of which reportedly did so despite being threatened with suspension. Gallagher gave his “respect” to the protesters, while singer Rufus Wainwright told students they were the future leaders and urged them to “keep marching, keep speaking out”. Students are calling for measures including tighter background checks and a ban on assault weapons like the one used in the recent massacre. They have also levelled much criticism at gun advocates the National Rifle Association (NRA). Protesters have so far seen some success with Florida passing its first new gun controls in more than 20 years. 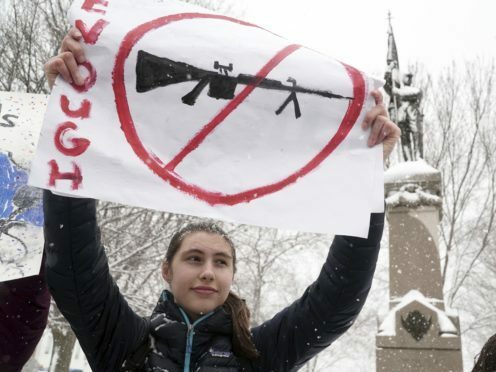 The bill was a compromise, seeing the minimum age to buy rifles raised from 18 to 21 and the banning of bump stocks which allow guns to mimic automatic weapons, but it was seen as a significant step. President Donald Trump initially signalled support for raising the minimum age to buy assault rifles but appeared to back down. He has instead focused on plans including arming teachers with guns. An obvious flaw in the policy was laid bare on Tuesday when a teacher in Seaside, California, accidentally fired his gun during a demonstration and injured three students.